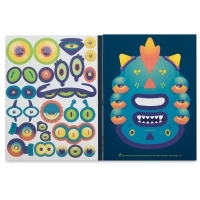 Reimagine the faces of robots, monsters, and animals by mixing doodles and stickers. 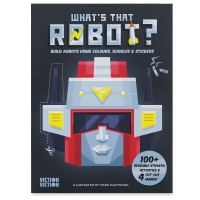 The What's That Face? 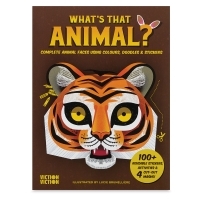 series will spark kids' imaginations as they make their way through these fun, interactive activity books. There's lots of room for creativity! 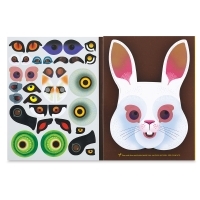 Each book includes 32 pages of blank creature designs to embellish, four different cut-out masks, and sheets of reusable stickers featuring whimsical and offbeat facial features specially designed to match the theme. 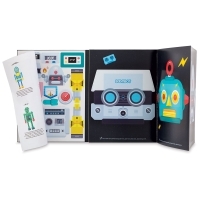 Plus, kids will find additional games and activities to play in the included doodle pad. 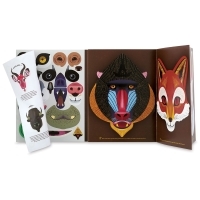 The books are perfect for collage, drawing, coloring, and role-playing. 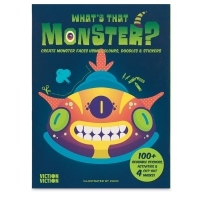 Young artists can create and become their very own monsters, wild animals, and robots. 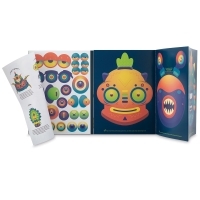 Collect all three What's That Face books to mix and match your own crazy creatures! For artists 4 and up. 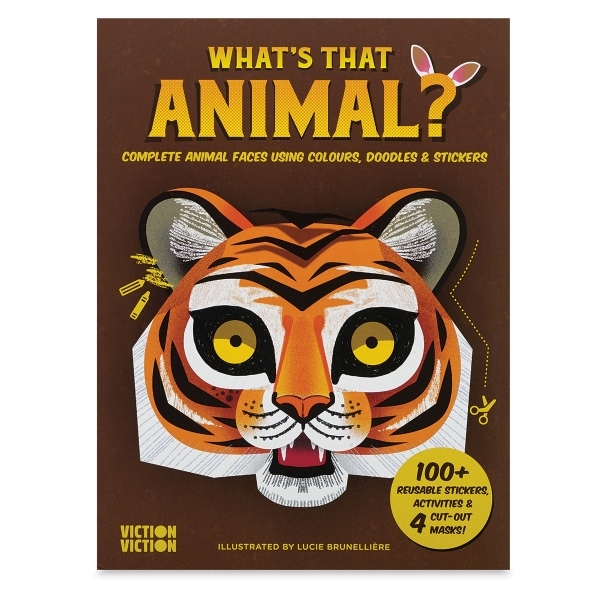 Illustrators — Mark Eastwood, Zuco, and Lucie Brunelliere. Paperback. 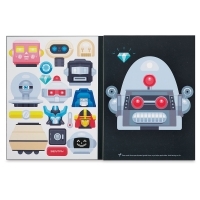 186 pages. 8-1/4" × 11" (21 cm × 28 cm).